How to proceed with long-term anticoagulation in patient after total gastrectomy and atrial fibrillation? Long-term oral anticoagulation is recommended to prevent stroke and systemic embolism in patients with atrial fibrillation (AF) . 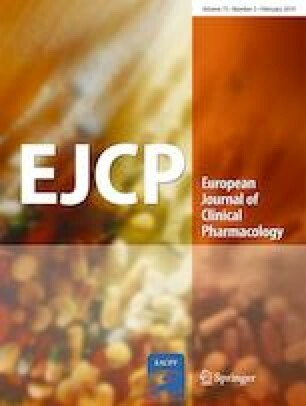 Non-vitamin K antagonist oral anticoagulants (NOACs) have emerged as the preferred choice in these patients .However, published data has recently demonstrated that dabigatran-PPI interaction significantly reduces dabigatran plasma levels [3, 4], most probably mediated through the effect on gastric pH . This implies that dabigatran would not be highly soluble also among post-total gastrectomy patients, as they have no gastric acid secretion. Nevertheless, there are no data about post-total gastrectomy patients with non-valvular atrial fibrillation treated with dabigatran. The online version of this article ( https://doi.org/10.1007/s00228-018-2571-9) contains supplementary material, which is available to authorized users. The authors would like to thank Mr. Paul McCullough for proofreading. This study was supported by project APVV (Slovak Research and Development Agency) 16-0020 and by research project UK/386/2018 of Comenius University in Bratislava. This research was done according to ethical standards and was approved by the local ethical committee (Jessenius Faculty of Medicine in Martin, Comenius University in Bratislava). The patient agreed to participate in the research and signed an informed consent for study participation.